Trademarks identifying OEM units or parts are those of each OEM and are the property of their owners and are not used, or authorized for use, by Hydraulic Repair and Design (HRD) or Hydraulex Global or its affiliates. Neither HRD nor Hydraulex Global are affiliated with the Original Equipment Manufacturer “OEM” or licensed or authorized to produce units or parts for the OEM. Case® is a registered trademark of CNH Industrial America LLC. OEM and reference part #’s are displayed for reference purposes only. HRD or Hydraulex Global is not affiliated or authorized by CNH Industrial America LLC. Caterpillar® is a registered trademark of Caterpillar. OEM and reference part #’s are displayed for reference purposes only. HRD or Hydraulex Global is not affiliated or authorized by Caterpillar. Daewoo® is a registered trademark of Doosan Infracore Co., Ltd. OEM and reference part #’s are displayed for reference purposes only. HRD or Hydraulex Global is not affiliated or authorized by Doosan Infracore Co., Ltd.
Hitachi® is a registered trademark of Hitachi Construction Machinery Co., Ltd. OEM and reference part #’s are displayed for reference purposes only. HRD or Hydraulex Global is not affiliated or authorized by Hitachi Construction Machinery Co., Ltd.
Hyundai® is a registered trademark of Hyundai Construction Equipment Americas, Inc. OEM and reference part #’s are displayed for reference purposes only. HRD or Hydraulex Global is not affiliated or authorized by Hyundai Construction Equipment Americas, Inc.
John Deere® is a registered trademark of Deere & Company. OEM and reference part #’s are displayed for reference purposes only. HRD or Hydraulex Global is not affiliated or authorized by Deere & Company. 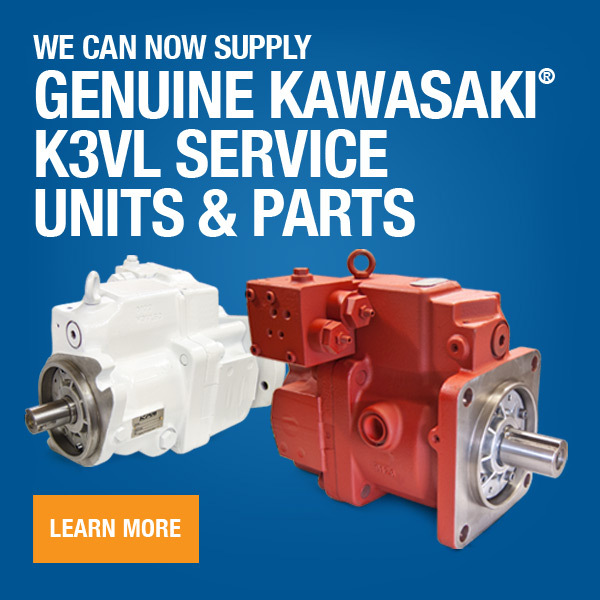 Kawasaki® is a registered trademark of Kawasaki Precision Machinery (U.S.A.), Inc. OEM and reference part #’s are displayed for reference purposes only. HRD or Hydraulex Global is a Service Parts Distributor (Mobile Applications) for Kawasaki Precision Machinery (U.S.A.), Inc.
Kobelco® is a registered trademark of Kobelco Construction Machinery U.S.A Inc. OEM and reference part #’s are displayed for reference purposes only. HRD or Hydraulex Global is not affiliated or authorized by Kobelco Construction Machinery U.S.A Inc.
Komatsu® is a registered trademark of Komatsu America Corp. OEM and reference part #’s are displayed for reference purposes only. HRD or Hydraulex Global is not affiliated or authorized by Komatsu America Corp.
Linde® is a registered trademark of Linde Hydraulics GmbH & Co. OEM and reference part #’s are displayed for reference purposes only. HRD or Hydraulex Global is an Authorized Service Center for Linde Hydraulics. Manitowoc® is a registered trademark of The Manitowoc Company, Inc. OEM and reference part #’s are displayed for reference purposes only. HRD or Hydraulex Global is a Manitowoc Cylinder Repair Facility for The Manitowoc Company, Inc.
Rexroth® is a registered trademark of Bosch-Rexroth Inc. OEM and reference part #’s are displayed for reference purposes only. HRD or Hydraulex Global is not affiliated or authorized by Bosch-Rexroth Inc.
Samsung® is a registered trademark of AB Volvo. OEM and reference part #’s are displayed for reference purposes only. HRD or Hydraulex Global is not affiliated or authorized by AB Volvo. Terex® is a registered trademark of Terex Corporation. OEM and reference part #’s are displayed for reference purposes only. HRD or Hydraulex Global is not affiliated or authorized by Terex Corporation. Volvo® is a registered trademark of AB Volvo. OEM and reference part #’s are displayed for reference purposes only. HRD or Hydraulex Global is not affiliated or authorized by AB Volvo.